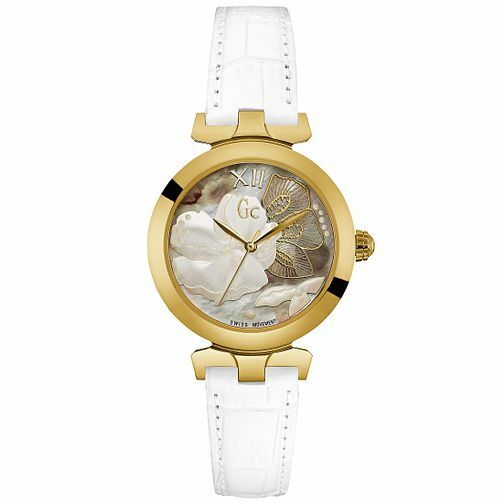 From the Lady Chic collection by GC, this elegant gold plated timepiece for her is a charming addition to an everyday wardrobe. Features a gold plated case and bezel, exquisite floral detailed face, classic logo branding and Swiss Movement. Gc - accessible luxury, modern in style and excellent in quality.